Well my semester is finally over. *throws confetti* and I get a nice summer break, albeit while working, at least I have days off instead of working full time AND going to college full time. Things with the beau are going extremely well, I'm just really happy right now. I would be more happy if I got back into fandom time like I used too and maybe writing again. Recs, rants, etc. are welcome. Phew since I have a job now I am busy than ever! Much more than I ever was with college. Combine my new semester starting soon AND work and I will be swamped. However, whenever my boss hires more help (we are currently very few and overworked as it is) and I finish my DCF classes for child care I will be looking for a new job that is more suited towards my career goal. It's not the work, nor the people (I do housekeeping for a nursing home just fyi) it's my co-workers. The place is dysfunctional and my boss knows nothing of her building or employees. The older veterans think they're gods gift to cleaning and it's looking like they might want me to quit or something. I can still talk with them but they do this sort of intimidation thing? I can sort of see why no one wants to do housekeeping there. But they ain't running me out. I leave on my own terms and I know I do a damn good job since my boss always tells me so, so they can honestly shove it for all I care. I am trying to keep up with my fandom duties! I am hoping once I find a new job I won't be so stressed to be honest. Just to let you all know I am still kicking! I don't know what got over me this weekend but I really wanted to update pretty much all my profile codes I use and the wording I used. So I updated my friends only code, my about me as well as my PDF Library. ON TOP of that I changed the spn_littlebro layout and profile codes as well. I'm really happy with the result I think. Maybe you can head over to these place and give me your opinions? Does it look good? Am I clear and concise? Also for some reason I feel as if I don't have the right layout for me. Like maybe I'm the only one that cares but you know when you find that layout that is just so perfect and you love opening up your livejournal and looking at it? lol maybe it's just me but I haven't gotten that feelings yet. I hope everyone's holiday season was a good one! I got Season 7 of Supernatural on DVD as well as a spongebob and scooby doo dvd and some underwear and that was about it. Since my brothers continue to not have a clue about buying my stuff they give me money so all together I have over 75 dollars. I'm going to be posting a picture of all my cards I have received soon! I have them up on my door atm. So sorry if I am leaving anyone out. I would also like to thank the countless users who sent me cards per my request on my wish list as well as my many friends of tumblr so thank you! Since it is a new year coming up I figured I'd change my layout. I'm still tweaking it but so far I like it! And since a new year is coming up I have a BUNCH to do per my fandom to do list *face palm* yes I have one of those. Hopefully by next Christmas I'll have that all done. I also realized my userpic package is experiencing in 11 days *sad face* I didn't even know the date was coming; it came so fast. Oh well hopefully I can replenish it because I do love my icons. I just want to roll around forever in my new layout. I just love it so much. I find myself coming on LJ just to stare at it. HOPEFULLY I shall get the first thing done and crossed off the list and get the ball rolling after that doubt it but a girl can dream, eh? Well surprise, surprise. 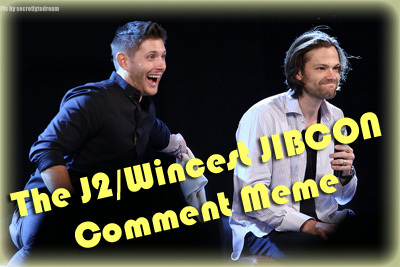 I actually signed up for rocksalt_recs J2 and both Gen. J2 in Sept. and Gen in Oct. It's fairly obvious by now that I enjoy rec'ing fics. And it's no trouble at all to come up with 3 recs, and even 8 if I wanted. I'll include vids, art and maybe meta and some crafts. I don't listen to podfics so that's out of the question. I just hope that the mods enjoy the recs and my style. I wouldn't mind being an invited reccer. I love being prepared ahead of time the only sucky thing is with getting months far off I can't code everything ahead of time. I could but new recs are prepared so I won't know what's new till I get there. Hopefully I'll get it all right. Wish me luck. Also if anyone noticed I made a new banner for my PDF library. I really like it even if it is sort of crappy. Other than that I haven't done anything today but sleep. Been in bed all day, I'm thinking about going back to my delicious and fiddling with my tags again, adding rating, word count etc. I STILL plan to have that done soon. And also I planned to rewatch the series before Season 8 starts but for some reason it's slow going. I'm on episode No Exit and I just haven't pushed myself to have another marathon like I did with Season 1. I don't know. I have a lot of fics I haven't seen in ages in my delicious. Gosh I feel like I want to do so much and have so little time to it all. My goal is to finish all these fanish things before college starts. I just wanted to make a post to update you all on goings on and what not. Well yesterday I had to take off my spacebar and reassemble is because the rubber underneath became dislodged and caused my spacebar to stick. It's still not exactly working right, I may have to reassemble the rubber again but it's working which is better than it not. I can only hit it directly in the middle. I can't press down on the sides anymore. Upon repairing my spacebar I realized my tab key was kind of out of whack. I fingered it a little and realized it was broken. The plastic underneath that held it to the computer was broken to where it wouldn't stay anymore.So I took off the key and the rubber and now have a nice blank space lol. Not that I used the tab key anyway. Well my spn_summergen is done. I sent it infor submission and got the all clear back. Now I just have to wait for it to be posted. I really hope my recipient likes it. Other than that everything has been pretty boring for me. I start college on Aug. 20th so I have two free months, maybe even three counting that it's late in August before college. And it's June 3rd which means there is 26 days till my birthday. Ahhh got me a new layout. I love this one so much better. Nice and clean with a pop of green. I had to zoom into it a little since the writing was kind of squinting and now it's fine. I also got me some new icons today, just a few. Been looking for some newer Sam ones from recent episodes but I just can't find ones I want/like any suggestions or anyone have any favorite Sam icons they like to share? Other than that today has been a pretty lazy day for me, filled with reading on and off and just browsing through tumblr. So boring. What have you guys been up to? Well the other day I asked all of you about good books to read, so I thought it was only fair to ask for good fanfictions to read. I felt like I haven't read a very good one in ages. You know those long ones you can get lost in for hours? I just for some reason haven't been finding any, and sadly enough I don't seem to be actively searching anything out. I may be fanfic burnt out because it seems when you've read so much it seems like everything is the same, if that makes sense. So this entry is about rec'ing some fanfic. Old, new, any pairing, any length, any genre it doesn't matter. Tell me what your favorite fanfiction is. I want to know. Hopefully with all the fics we all share everyone can find something new to read. I'm tried of seeing the dropping sad entries on my friends list. I want you all to be happy, in your life and in Fandom. I just want to rejuvenate you can get you excited again.